When you see pics of your favorite stars, do you ever wonder how these men and women can project such perfection? Can ordinary folks ever achieve anything approaching celebrity-caliber attractiveness? 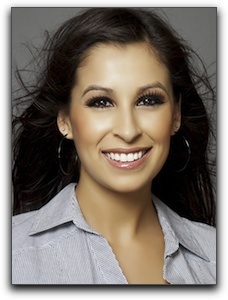 With cosmetic dentistry from Hammond Aesthetic & General Dentistry in Provo, the answer is yes. There many effective cosmetic dentistry procedures available that can produce significant results. 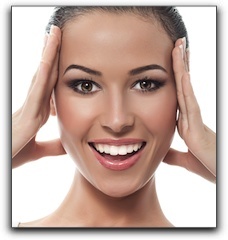 Complete smile makeovers combine various procedures to transform your smile. These are the same procedures used by cosmetic dentists that serve the Hollywood A-list. 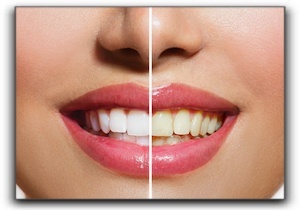 A common and economical procedure is teeth whitening. There are a variety of ways this can be done. Many drugstores sell over-the-counter whitening strips and gels. 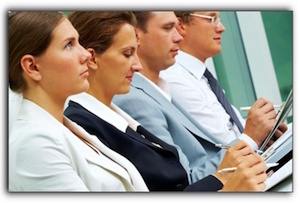 We can recommend an effective one, or – even better – provide you with in-office whitening. 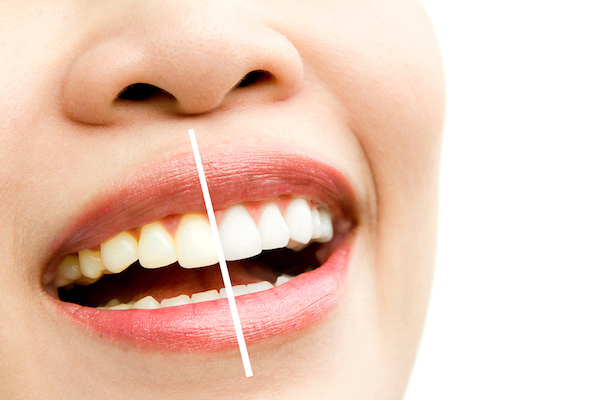 This is the quickest way to whiten your teeth, sometimes in less than an hour. You may not land a film contract any time soon (or maybe you will), but cosmetic dentistry from Hammond Aesthetic & General Dentistry in Provo can give a red-carpet smile that movie stars will envy. Schedule an appointment with us today. So you want to whiten your teeth? 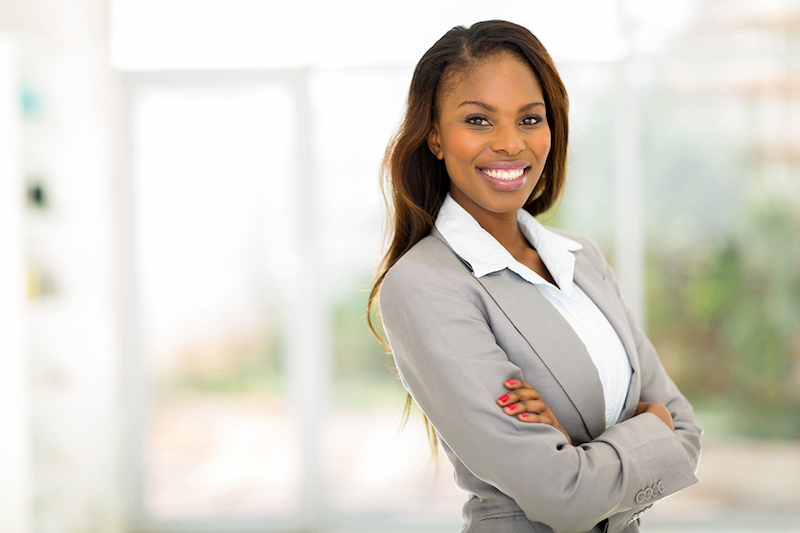 It’s a reasonably-priced way to brighten your smile, look younger, and feel more confident when you interact with people in business or social settings. It is important to know that whitening does not affect existing fillings, veneers, or crowns. During your consultation, decide how many shades lighter you want your teeth to be at the end of the treatment. Depending on the whitening method chosen, your teeth can be beautified three to eight shades. An in-office procedure achieves a degree of lightening that cannot be achieved with an OTC product. During your treatment, your dentist may apply a coating to protect your gums and roots while the bleaching agent is applied. An alternative procedure is to have your dentist customize a take-home kit for you. Make sure you follow the instructions precisely. First, molds are made from your upper and lower arch. Then the lab creates trays to hold the bleach. While this method may take longer, it is more competitively-priced and more convenient for many patients. Teeth whitening results from either technique can last from six months to two years. With any of the teeth whitening systems, tooth sensitivity may take place. In most cases, it won’t last for more than a day or so. Call Hammond Aesthetic & General Dentistry if it lasts longer. Welcome to the Hammond Aesthetic & General Dentistry dental blog, Provo! I am Dr. Chris Hammond. Today’s post focuses on teeth whitening. Unfortunately our teeth lose their luster as we grow older, but I see staining on young patients, as well. Orem area residents of all ages want whiter teeth. Tooth whitening products like kits, strips, whitening mouthwashes, and toothpastes can lighten stains slightly, but for a truly stunning smile, Hammond Aesthetic & General Dentistry is your brilliant solution! If you have existing dental work such as porcelain crowns, dental bonding, or veneers, the whitening process can be trickier, but not impossible. Teeth whitening will not lighten the stains on your restorations and your whitened natural teeth will make your dental work look even duller in comparison. 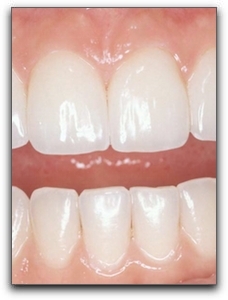 At Hammond Aesthetic & General Dentistry, we can upgrade your dull restorations including veneers, crowns or bondings. In-office teeth whitening takes about an hour and bleaches teeth to a whiter-than-ever brilliance. Professional take-home whitening kits are also available at Hammond Aesthetic & General Dentistry and can produce wonderful results over time. For more information on getting a younger and brighter smile, contact our caring team at 801-374-0070 for a tooth whitening consultation today! Hammond Aesthetic & General Dentistry provides general and cosmetic dentistry including sedation dentistry, mini implants, and Invisalign. Ask us about financing options. Teeth whitening is one of the easiest ways to improve your smile in Provo. It is quick, cost-effective, and non-invasive. Though some cosmetic dentistry patients experience short-term sensitivity, most experience no tooth whitening pain at all. 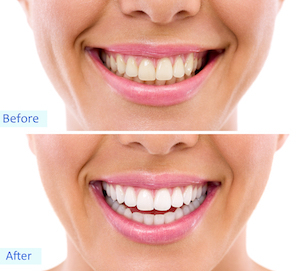 If you have looked into Utah County teeth whitening, you probably already know the basics. The one thing they have in common is that they use a solution containing peroxide to remove the stains that have settled in the natural microscopic cracks in your tooth enamel. There are many DIY teeth bleaching products available in American Fork and it seems like new ones appear every time you visit the toothpaste aisle at your Orem grocery or Lehi drug store. These tooth whitening strips and tooth whitening pens can sometimes whiten your teeth a few shades, but the peroxide concentration is much lower than the whitening solutions used in Provo cosmetic dental offices. It may not be strong enough for your tooth stains. Dr. Chris Hammond recommends that you use extreme caution when considering a take-home Orem tooth whitener. If you have tooth decay, gum recession, crowns, or veneers, you definitely need professional guidance. Even though Provo teeth whitening seems simple, your teeth deserve a professional opinion. After all, we are talking about teeth here. You can’t fix an uneven teeth whitening result like you can a bad hair-coloring job. Schedule a tooth bleaching evaluation before you waste your cash on more Crest White Strips. We can be reached at 801-374-0070.